Featured Image: Title: Sign at Rusty Bolt souvenir store, Route 66, Seligman, Arizona. Credit: Carol M. Highsmith’s America, Library of Congress, Prints and Photographs Division. 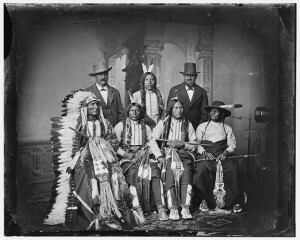 Group of Sioux Indians “Spotted Tail” (photo c. 1875) Standing: Joe Merrivale; Young Spotted Tail; Antoine Janis; Seated: Touch-the-Clouds; Little Big Man; Black Cool; last two are rapoves[?] identified by George E. Hyde 4229 Dangler[?] St. Omaha, Neb. Source: Library of Congress. In eye-opening testimony before a Senate subcommittee, the co-founder of the environmental activist group Greenpeace refuted assertions that carbon dioxide emissions from human activity are responsible for global warming. EDITOR”S NOTE: While I agree with most of what Dr Moore said in his testimony, there is a far more intriguing question that should be considered: If the Earth (and all other bodies in the solar system) are in getting warmer – and they are – and no human actions are causing it, what is? 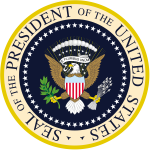 In the summer of 1954 the United States toppled the government of Guatemala. Their frontline was a ragtag of some 200 exiles. Their real strength was in the air, and on the airwaves. In a war of nerves the elected government of Jacobo Arbenz fell a mere ten days after the war began. Arbenz’s fatal mistake was expropriating land from the American United Fruit Company, and distributing it to landless peasants. For this he was branded a communist, a Soviet agent, and a dangerous enemy to American national security.